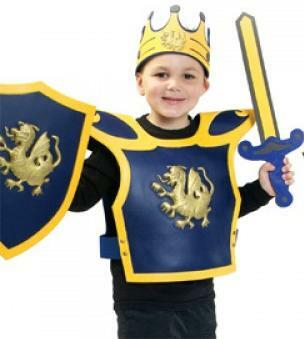 If you’re going fantasy or medieval, Kids Touch offers foam swords, shields, and magic wands just for children. For a modern LARP, JT Splat Master’s paintball guns are low-impact, non-toxic, stain resistant, and biodegradable. The toy industry already calls this category of product “role play”. I’m just looking at them through gamer’s eyes.